Innovative and Smart Solutions for all Business types and stores. If you own a Retail store, Restaurant, Cafe, Salon, we have a system for you. Without any software to install you gain instant access to your software from any location on virtually any device, with the peace of mind of state-of-the-art security & daily backups. Our products feature the most modern & intuitive interfaces available. With direct importing of statements to stock synchronisation, streamlined processes lie at the core of our business. We offer a suite of hand-picked cloud business applications covering Point-of-Sale for Retail store, Restaurant, Cafe, Salon and more. All seamlessly synced to deliver an unmatched offering. 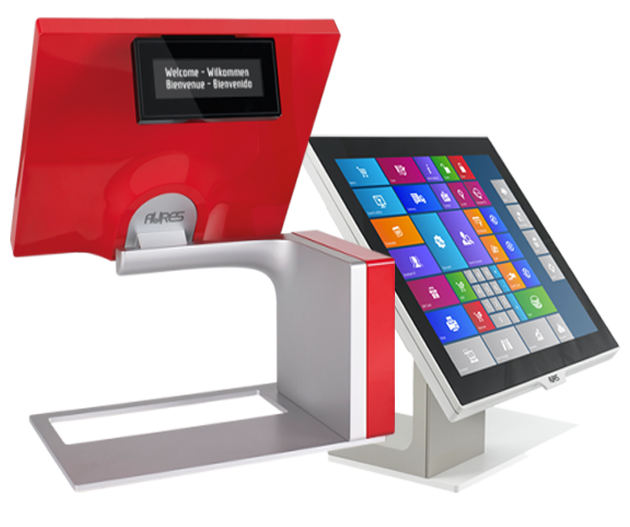 Vend makes it easy to sell to your customers, whether you use our responsive web-based POS on Mac or PC, or our Vend Register iPad app. 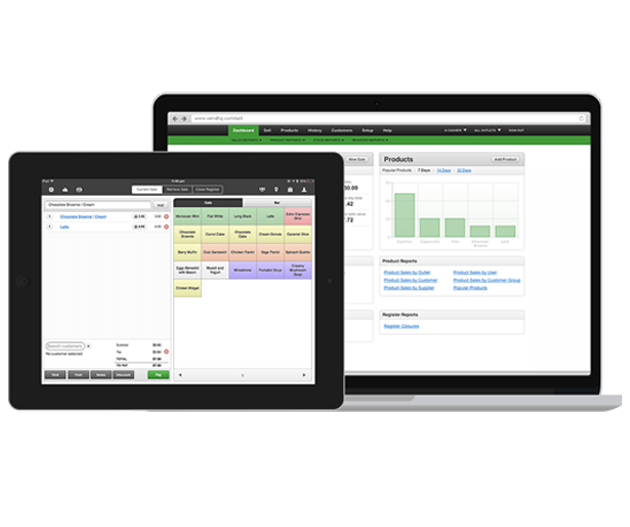 Get live insite and instant reporting on your sales from anywhere, at any time on a tablet or computer. Manage your inventory across multiple stores. See stock on hand, low stock and inventory levels at a glance. 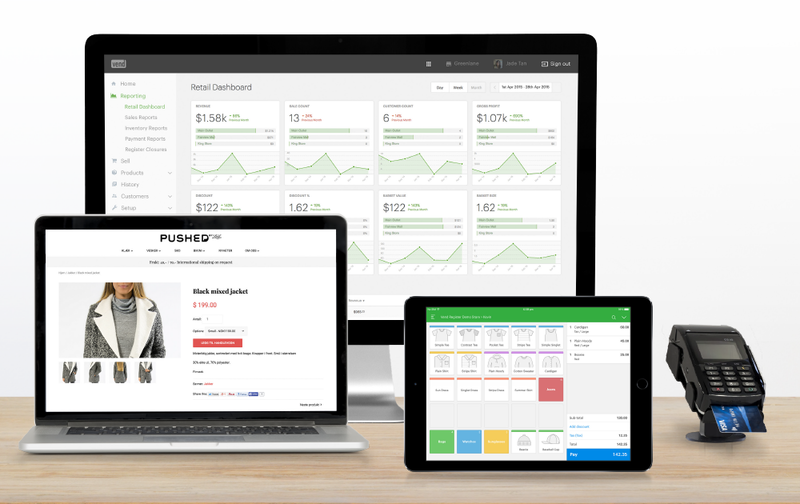 Create a beautiful online store in minutes, and manage all your inventory, customer profiles and insights from one place. We always strive to work with passionate companies who share our love of technology & provide world class products & services.